Whenever a new version of iOS is announced by Apple, we usually take a few minutes to look at the features that were highlighted and compare them to Android, since in many cases, Android users have been experiencing the “new” fun for years. With iOS 6, the same can be said again, but to give credit to Apple this time around, we have to point out that words like “reinvented” weren’t used much if at all. During today’s presentation at WWDC, Apple’s execs seemed to give off the impression that they knew they weren’t changing the game “again,” but were finally adding in features that should have been there long ago. If you are reading tech blogs across the globe today who insist that iOS 6 is the greatest thing since Zapp’s Cajun Crawtator chips, we are here to show you that you can do all of this stuff now on your Android device and more. 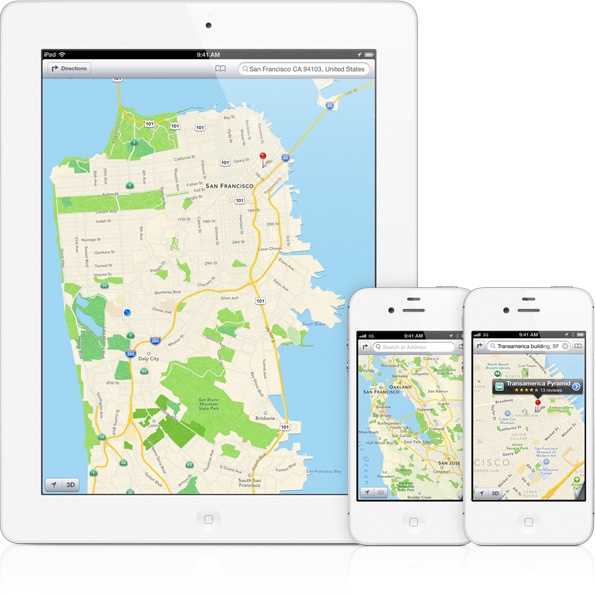 Apple did indeed kick Google Maps to the curb in favor of their own map solution, dubbed “Maps.” From what we could tell, it’s your standard maps + navigation app that Android users have enjoyed for years now. They have 3D images of cities, turn-by-turn directions with voice, traffic and route recommendations, etc. No reinventing here, especially without transit directions (that we know of), offline maps, and social integration, all of which are embedded in Google Maps. For those with Chrome installed on a computer and Android phone, you know that Chrome has had tab syncing across devices for almost 2 months now. Apple introduced it to iOS 6 and Safari today, but since no one uses Safari, I’m not sure how useful this can actually be to iOS users. Chrome is the most popular browser in the world and has this feature already included. Then again, this is Apple’s way of getting you to use Safari on a desktop if you want to take advantage of syncing. Sorry, iFolks. As they did with Twitter in iOS 5, Apple announced “deep” Facebook integration. You can now post to Facebook in an instant, share URLs quickly, and allow it to sync with your calendar and contacts. Android users, you can do all of this with much more than just Facebook and Twitter. In fact, almost every single app that needs it, has sharing capabilities. If you want to share something with Pocket or Google Drive or Dropbox or Gmail or Facebook or Twitter, you can, just by hitting the share button. You aren’t locked into only sharing things with Twitter and Facebook. Calendar and Contact integration has also been there for longer than I can remember. Google removed it a tad with stock ICS, but custom skins from HTC, Samsung and Motorola all kept it in. The coolest thing I saw today during the iOS 6 presentation was Siri returning sports scores and stats. With each Siri knock-off Android app, one of the first questions I always ask has to do with last night’s games. They always come back empty and ask if I want to search the internet. They also tossed in Yelp, OpenTable, and movie stuff, which could come in handy from time to time. 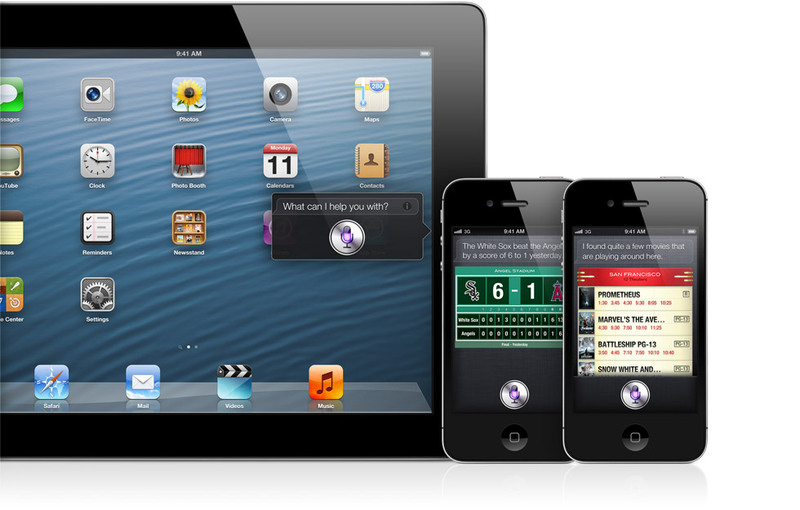 Still though, everyone with an iPhone 4S that I know tells me every time I ask, that they never use Siri. Google still doesn’t have their own Siri-like app, other than Voice Actions which are limited. At Google I/O this month, they are expected to show something off that should compete in this space. Quick replies during incoming calls! 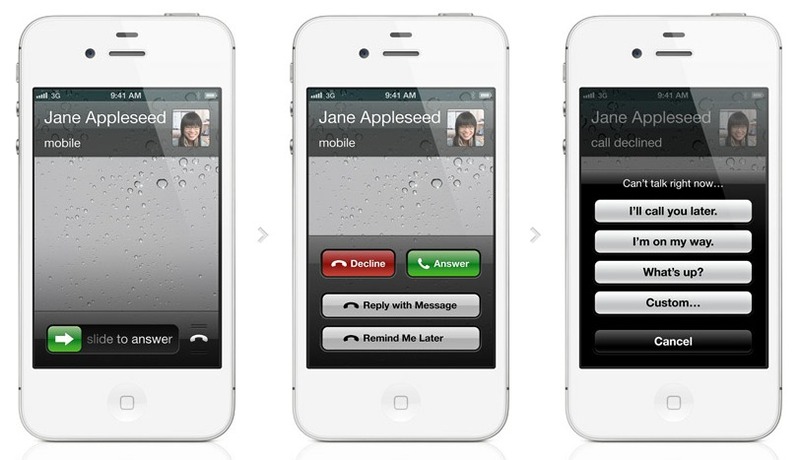 Nope, not an iOS 6 original. Through Android, stock or a variety of skins, if you quickly hang up on someone, you are almost always prompted with a menu to either text them or be reminded of that call at a later time. With most, you can even create canned text messages that can be fired off in an instant. It’s a great feature, just one that has been around for a while. In previous version of iOS, you were not allowed to FaceTime video chat with people unless you were connected to a WiFi network. In iOS 6, you can finally make FaceTime calls over a cellular network, however, this is not new and has been done with a variety of video chatting apps on Android, but most importantly, natively through Google Talk for some time now. Hell, I think it has been around since Gingerbread almost 2 years ago. Apple announced a new app called Passbook which stores flight information, coupons, movie tickets and loyalty cards. It’s time and location based, so if you enter your favorite coffee shop, your phone will automatically pop up your coffee rewards card for quick scanning. As you enter an airport, it will pull up your flight info and potentially notify you should your gate change. This is actually a cool idea. There are Android apps out there that do similar stuff, but not as an all-in-one application. In iOS 6, Apple added a “VIP” mail category that acts in a similar way to Gmail’s priority inbox. You can set up select people (or I’m assuming groups too) that will hit your VIP inbox while those boring work emails will slide to your regular folder. It’s a handy feature, but like I said, Gmail’s priority inbox does something similar, but actually learns on the fly so there is no manual setup. They also tossed in easy photo embedding into emails, something that has been in Android since the beginning of time. And that’s pretty much it. Apple said that there are some 200 new features, but these were the big dogs that they showed off on stage and are likely the most noteworthy. What we can take from this, without being too nasty to this other mobile operating system, is that both Android and iOS are becoming more polished with each new release. There probably isn’t much room for something dramatic to happen at this point, so it’s the little things that they’ll continue to add in. This latest iOS release includes a whole bunch of stuff that has been in Android for a long, long time – most of it is incredibly useful by the way – so we are glad to see our frenemies get in on the action. If you were looking for that game changer though, it didn’t happen.